You, but on a really good day! 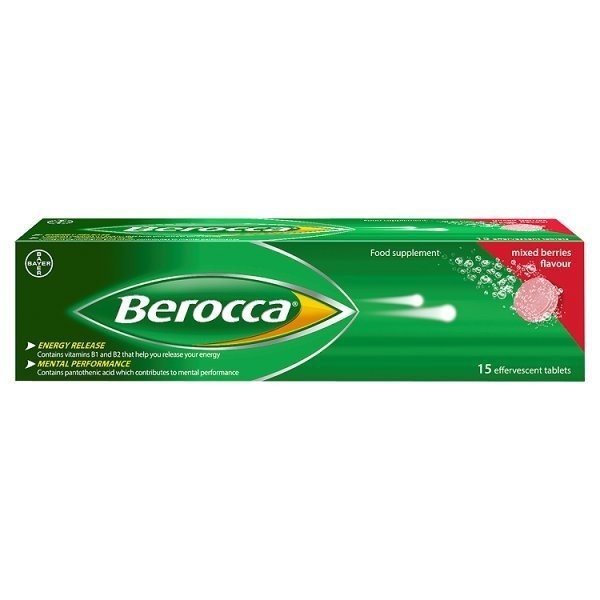 Berocca has been carefully formulated to create a multivitamin and mineral supplement that you can take every day. Tailored vitamins and minerals to set you up for a really good day. Berocca is an effervescent tablet that dissolves in water to create a refreshing mixed berries flavoured energy release drink. It is a tailored combination of B and C vitamins and essential minerals. The magnesium and B vitamins such as B1 and B2 help you to release your energy and offer and healthy way to stay on top form. Berocca is free from caffeine, sugar and artificial stimulants. Take one Berocca in the morning so you can have a really good day, everyday.